By default, emails from Watchman Monitoring are sent in HTML. However, if warnings are being received by a help desk system, plain text may be a better choice. This menu shows which emails are sent, to whom they are sent, and the format in which they are sent. 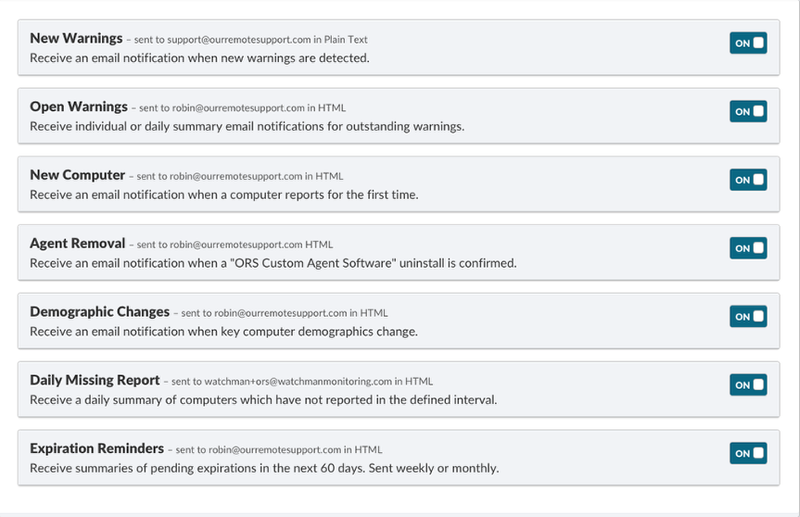 Expand each window to choose "Plain Text" for emails sent to your ticketing system.